South Sudan’s main rebel group has denied claims by a government that a new peace deal has been reached. News broke on Sunday that a fresh deal had been agreed between the two warring sides – one that would see rebel leader Riek Macher resume his former role as vice president. However, his party says no such agreement has been discussed at an official level, despite reports of a new breakthrough. In a statement issued on Monday, the SPLM-IO confirmed that a power-sharing deal had been discussed during peace talks in Uganda – but insist no official documentation was provided. The statement also went on to reject the proposal offered during talks, suggesting it “only focuses on accommodation of politicians and ignores radical reforms needed” in South Sudan. The South Sudan Opposition Alliance, a coalition that consists of nine opposition parties, had previously rejected the same proposal. 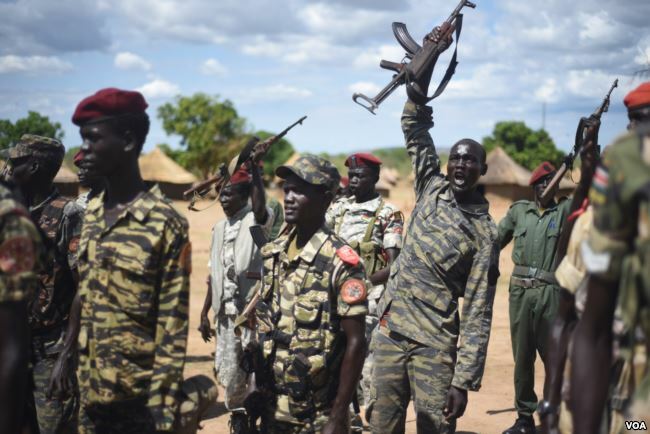 Spokesperson for the coalition Kwaje Lasu offered a similar explanation, insisting the proposal doesn’t address the root cause of South Sudan’s conflict – without specifying what the coalition believes they are.